Bottle Art Museum Pattaya is the only museum in the world that presents architecture building shown in different shape and size of bottles. These artworks show traditions, cultures, living circumstances, exquisite landscapes, and many different places. Apart from more than 300 art works in the bottles, there are also different types of hand-made ships presented in the Meseum. At the present, the Bottle Art Museum is located in North Pattaya, opposite to Mini Siam Pattaya. Short Description: Bottle Art Museum Pattaya is the only museum in the world that presents architecture building shown in different shape and size of bottles. These artworks show traditions, cultures, living circumstances, exquisite landscapes, and many different places. Apart from more than 300 art works in the bottles, there are also different types of hand-made ships presented in the Meseum. 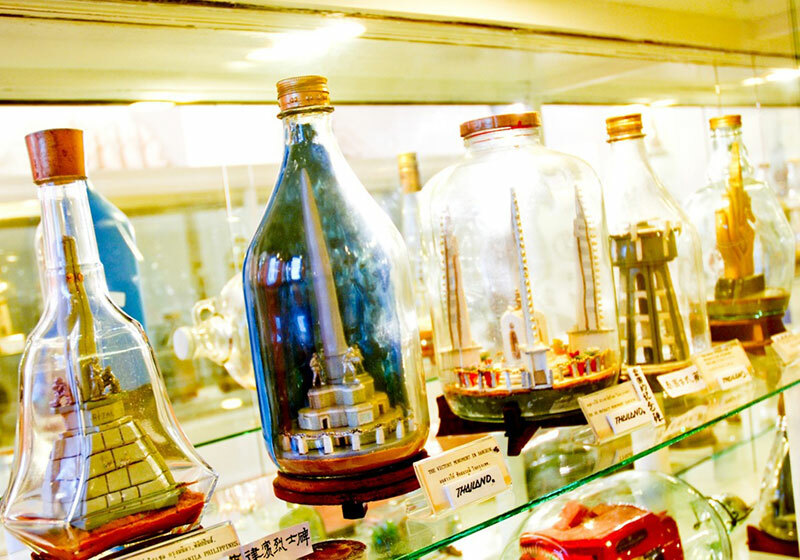 At the present, the Bottle Art Museum is located in North Pattaya, opposite to Mini Siam Pattaya.